The morning started off just like any other – the sun rising in the east, the waves crashing in from the west, and for Alex Logan, the Santa Monica resident, heading for work was just part of another normal day. But by the time he arrived at his Los Angeles office, the world had changed. Now, miles from home, Alex must fight to get back to his family amid the terror, chaos, and mayhem. Before he starts his journey, he has to gather his thoughts and seek help before walking blindly into the crazed streets below. Will Alex even have a chance to make it out of his office? 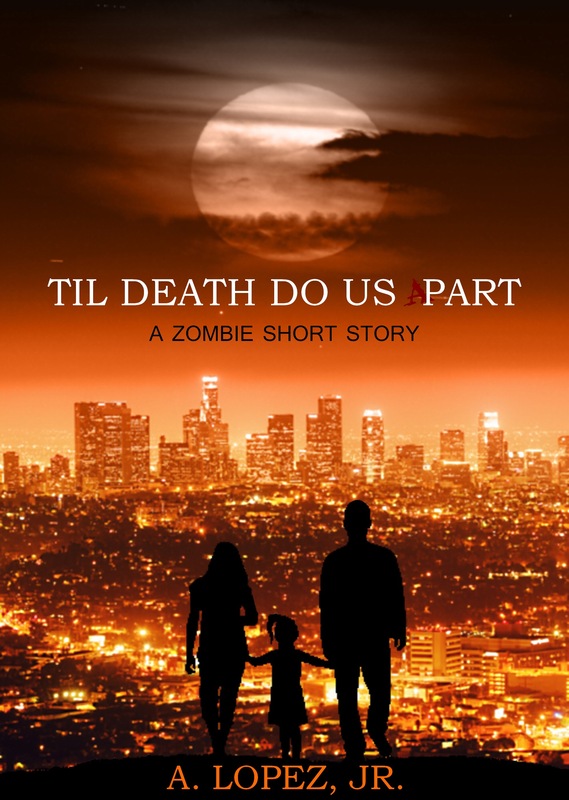 Will he be in time to save his wife and daughter? 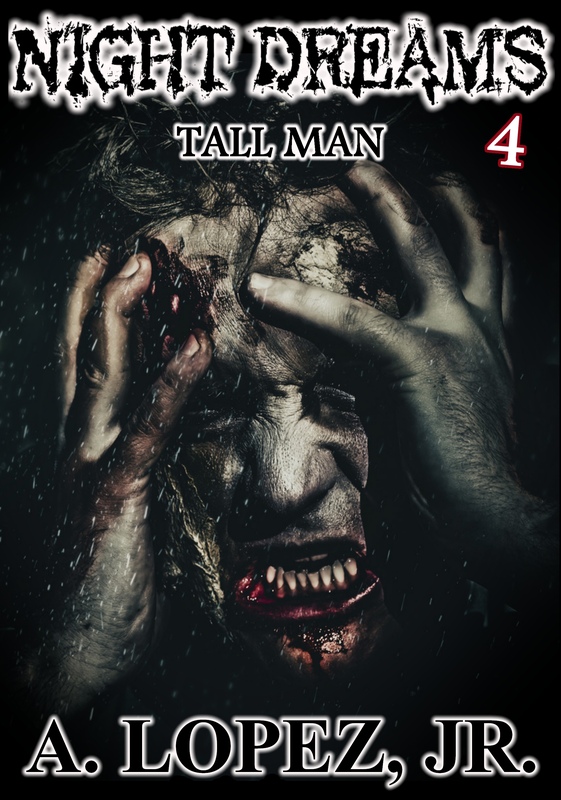 The action never stops in this short story of a man seeking to unite with his family before the world goes deeper into its apocalyptic spiral. Where will you be when the infection starts? 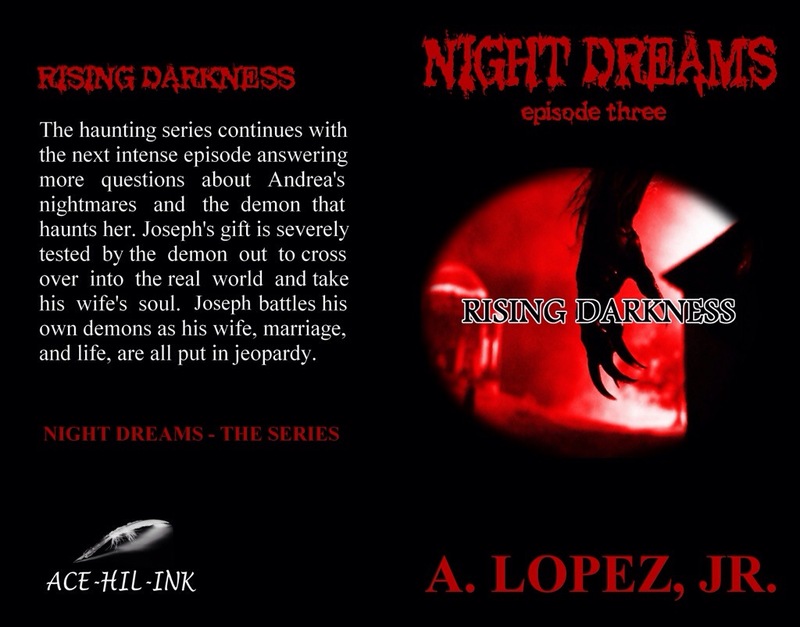 Episode #4 of the Night Dreams series will be released on all eBook platforms on October 27th. A print edition will follow soon after. Each episode is in the 20,000 word range, one connecting to the next. The series book trailer is below. 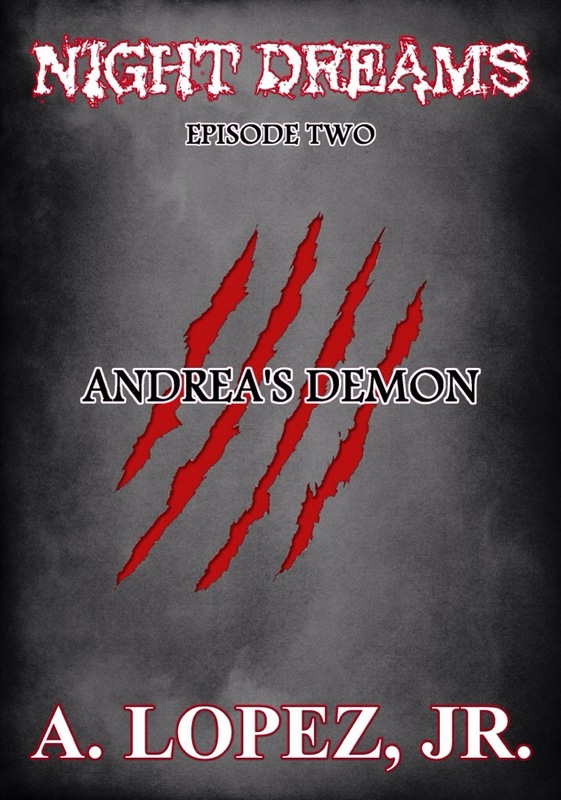 Night Dreams Episode Two Andrea’s Demon cover is done, and the 20,000 word episode will be released soon, with Episode Three (yet to be named) to follow in December.